A sleek of-the-moment silhouette set on a platform outsole. They are perfect in comfort and style. Absolutely love these! Nice quality, very comfortable and super cute. Liked the shoes, very comfortable. Unfortunately didn’t like the color. I would like a little more arch support but overall they fit well and are comfortable. 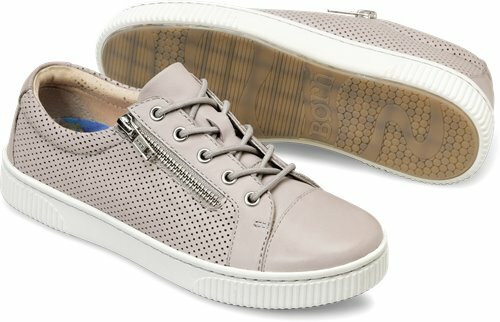 These are the most comfortable, stylish, low profile sneakers I have ever owned! Worth every penny. They are really comfortable and cute. I need some arch support and I can wear an orthotic with these. I love the tropical design and they are very comfortable. I could walk in them all day. Just received them today, tried them on, fits great, feel comfortable and support of foot, anxious to wear them and hear all the cute comments. Comfortable shoe for leisure wear, however, would have been a truer fit in a half size smaller. I love this shoe for casual wear. It is a good shopping shoe also.